The older I get the more I realize I’m part of a unique group of people. I was born in the 70’s and I grew up in the 80’s, so I remember what it was like to not have a remote for our TV. I also remember what it was like to get our first remote for the TV, and trust me when I say it was a big, toaster sized contraption. The first video game I ever played was on an Intellivision, and I remember how in awe I was the first time I ever saw a stand up Street Fighter arcade game in the local Laundromat. Kids would line up for an hour to get their chance to play, mostly because the graphics were unlike anything we’d ever seen. But what I remember most about being a kid back then were the kids videos or TV shows. I had brothers so we watched what they wanted to watch, and that included shows like Jem, GI Joe, and Inspector Gadget. Like any mom, I wanted to share my childhood memories with my kids, and that included all of the TV shows I loved to watch. Trying to tell them about Conan or the original Transformers is kind of like teaching them a different language – things get a little lost in translation. Because technology has changed so much since I was a kid, if I want to describe to them what that half-goat half-human guy was in Hercules I needed to go on the Web. Unfortunately I had a hard time finding full episodes anywhere, and even the clips I’d find weren’t enough to really convey the same kid-like feeling I had when I watched it. So I had to do a few fist pumps when I heard about a brand new streaming service that has all of my favourite kid videos and nothing but kids videos! 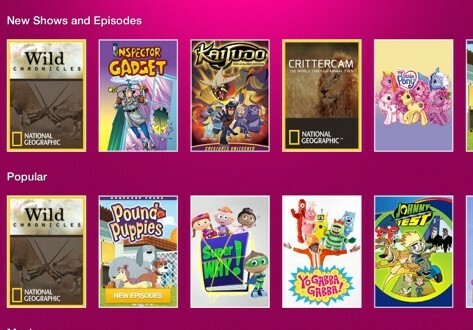 Using Kidoodle.TV is like uncovering treasure right on your tablet or computer – it’s an ad-free video streaming service just for kids or kids at heart, and it has golden oldies like Conan the Adventurer, Super Mario Bros., The Archies, and GI Joe. At the same time it has other great shows including National Geographic CritterCam, Yo Gabba Gabba, Pound Puppies, and Sonic. My kids love Kidoodle.TV because they can stream their favourite kids videos without having to dig through piles of titles they aren’t interested in, and I love it because I can control what they watch and how long they watch it. All you have to do is set up profiles by going into the Parents Room and adding a kid (or Dad, because he wanted his own profile for GI Joe). 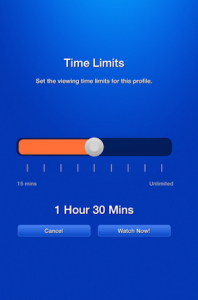 From there you can set a passcode for when you login and time limits for how long they can watch. You can also set the preferred age group for your kids so they don’t watch content you don’t want them to see. Video streaming is all about the quality of the stream, and Kidoodle.TV doesn’t disappoint. It’s crystal clear and lag free, which makes me very happy when I have my hands full and I don’t have time to constantly go back and check why the video isn’t working. I love free trials for services like Kidoodle.TV, because you can put it to the test before you sign up and see if it fits into your family dynamic. I kept track of how many times they asked to log into Kidoodle.TV over a two-week period, and we achieved a record of 25 logins. It was fun to sit down and enjoy the shows I loved as a kid, and it was even nicer to let them have the iPad for 20 minutes while I made dinner and know they weren’t watching anything inappropriate. I also love that there is a timer, so if I want to set limits on what they watch I can just have it turn off after a half hour. Kidoodle.TV is one streaming service I can’t recommend enough, and now you can try it out for yourself! Sign up for Kidoodle.TV now and receive 25% off a one year subscription with the following coupon code: MCC25 . 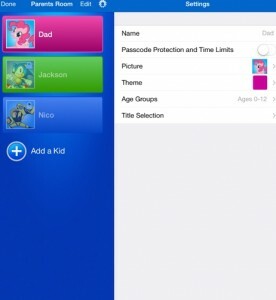 You can also enter one of 3 iPad Minis (which are perfect for streaming Kidoodle.TV) on the Kidoodle.TV Facebook page. They’re being given away in March and April, so be sure to check out the Kidoodle.TV Facebook page now! Plus, you can enter right here to win a 1 year subscription to Kidoodle.TV! All you have to do is shoot me an email or comment below to enter. The contest closes on April 20th, 2014 so get your entry in now. Canadian entries only please, and unfortunately residents of Quebec are not eligible. You can enter to win on any blog participating in the Kidoodle.TV promotion, but you can only win on one blog. I also love the ‘Invite Friends and Earn Credits’ campaign Kidoodle.TV is running right now. 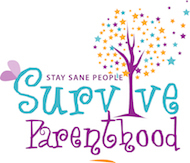 Just by inviting your friends to sign up through your personal invite link in the Parents Room, you can earn free months! They’ll also receive 4 weeks free instead of the standard 14 days, and each time you have 4 friends who accept your invitation to join you’ll earn one month of free Kidoodle.TV. For all of my friends who are reading, this is your official invite to check Kidoodle.TV out. I swear, you’ll be arguing with your kids over the iPad because it’s so much fun to be a #KidoodleMom and watch these shows again.